Gangs in Surrey are recruiting children as young as 10 years old to do some of their most dangerous work, local officials say. According to a startling report released Tuesday by the Mayor's Task Force on Gang Violence Prevention, organized crime groups are luring pre-teens through social media, most often with the intention of getting them to run drugs. "These guys aren't going to take the risk and do the stuff themselves, but you can hook a 13, 14, 15-year-old into this by promising them all these different things," said Jordan Buna, a former gang member now serving on the task force. "There's a reason these 20- to 25- to 30-year-olds are getting them to engage in this type of behaviour—because it's hands down the riskiest behaviour there is." And with Surrey quickly become a popular place for young families to live, the report urges both the local and provincial government to invest more in preventative measures and early-intervention programs. "Youth in B.C. and Surrey are becoming involved in gangs at younger ages than ever before and exhibiting anti-social and aggressive behaviour at even younger ages," the report said. According to numbers from local RCMP, the average age of a gang member was 23 between 2014 and 2016, but the average age of their first criminal offence was 16. On average, the same kids saw their first school suspension at 13 years old. In response to the findings, the City of Surrey says it's doubling resources for its gang enforcement unit. "It's time to say to gangsters who want to operate in cities and across the province that the party is over," Mayor Linda Hepner said Tuesday. The B.C. government is also contributing money to help keep youth away from gang life. The Ministry of Public Safety announced $1.12 million in additional funding for the school-based anti-bullying program Expect Respect and Safe Education, or ERASE, with the goal of improving gang prevention in the province. “Programs that address the circumstances that lead to gang involvement help to create positive community connections, and a better way of life,” Minister of Public Safety and Solicitor General Mike Farnworth said in a statement. The report cites "social alienation and peer rejection," especially during the transition from elementary school to secondary school, and lack of a positive adult role model as two of the main risk factors for youth joining organized crime groups. Cultural identity issues among first- and second-generation immigrants as well as individual behavioural problems can play an important role too, the authors wrote. Gangs can often capitalize on these vulnerabilities by glamourizing the perceived sense of power, belonging and wealth associated with a life of crime. The task force's report estimates that children in Guildford, Newton and the City of Langley are most vulnerable to being lured in this manner. 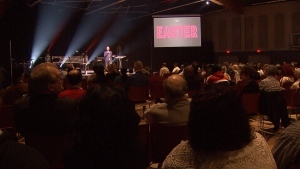 Officials say parents should be concerned about children who have abandoned old friendships and are spending time with people in their 20s and 30s or if their kids spend a lot of time on social media or log on at odd hours of the night. "We've learned that if we don't reach children—and I'll call them children—in their elementary school years, then we're missing the boat," said Assistant Commissioner Dwayne McDonald of the Surrey RCMP. The report comes just a day after the release of a poll suggesting 45 per cent of Surrey residents were more concerned about crime over other issues in their community. More than half of respondents said they would be open to creating a municipal police force to help deal with the problem. In recent weeks, residents and local politicians ramped up their calls for new strategies to deal with a gun violence epidemic in the city after three people without criminal records were murdered in the less than a month. The task force found that crimes committed in B.C. accounted for nearly a quarter of the uptick in gang violence seen across Canada between 2015 and 2016. 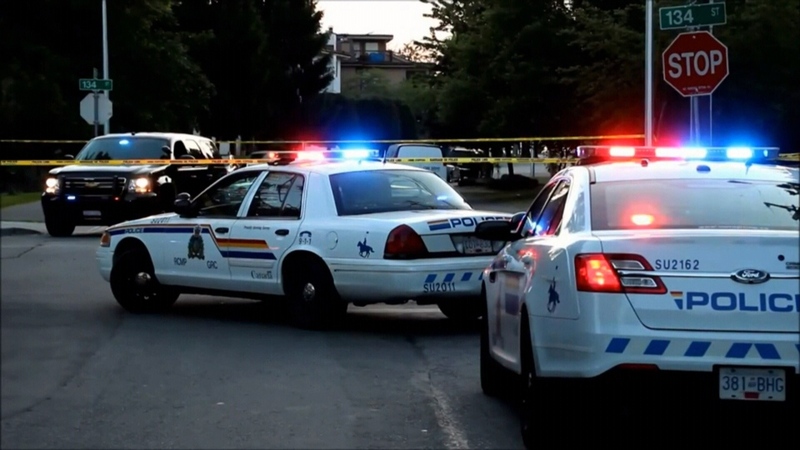 There were 46 gang-related homicides in B.C. last year, a majority of them occurring across some of the province's largest cities, including Surrey, Richmond, Abbotsford, Langley and Vancouver. RCMP cruisers are seen in Surrey, B.C. in this undated photo.